The Grammy Award for Best Dance/Electronica Album (from 2015: Best Dance/Electronic Album) is an award presented at the Grammy Awards, a ceremony that was established in 1958 and originally called the Gramophone Awards, to recording artists for quality albums in the dance music and electronica genres. 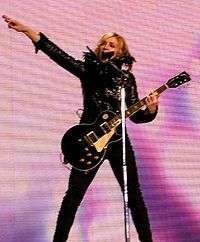 Honors in several categories are presented at the ceremony annually by the National Academy of Recording Arts and Sciences of the United States to "honor artistic achievement, technical proficiency and overall excellence in the recording industry, without regard to album sales or chart position". This award was first presented in 2005 to Basement Jaxx for the album Kish Kash. In June 2014, NARAS announced a small change in the naming of the category, from Dance/Electronica to Dance/Electronic. It was agreed that "the title for this genre has evolved, and updating it more accurately represents the industry nomenclature of today. ", according to the Grammy committee. According to the category description guide, the award is presented "for albums containing at least 51% playing time of new vocal or instrumental electronica/dance recordings". It is intended for "groove-oriented recordings with electronic-based instrumentation". Compilation or remixed recording albums are not eligible for this category. 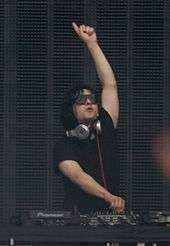 Skrillex received the award three times, while Daft Punk and The Chemical Brothers each received it twice. The Chemical Brothers hold the record for most nominations with five. The Chemical Brothers were the first to receive the award twice. "Grammy Awards: Best Electronic / Dance Album". Rock on the Net. Retrieved November 25, 2011. ↑ "Grammy Awards at a Glance". Los Angeles Times. Tribune Company. Retrieved April 24, 2010. ↑ "Overview". National Academy of Recording Arts and Sciences. Retrieved April 24, 2010. ↑ "Category Mapper". National Academy of Recording Arts and Sciences. Retrieved November 25, 2011. ↑ "Nominee list for the 47th Annual Grammy Awards". LiveDaily. December 7, 2004. Retrieved June 25, 2010. ↑ "The Complete List of Grammy Nominations". The New York Times. The New York Times Company. December 8, 2005. p. 1. Retrieved June 25, 2010. ↑ "49th Annual Grammy Awards Winners List". National Academy of Recording Arts and Sciences. Retrieved June 25, 2010. ↑ "50th annual Grammy Awards nominations". Variety. Reed Business Information. December 6, 2007. Retrieved June 25, 2010. ↑ "The 51st Annual Grammy Awards Winners List". National Academy of Recording Arts and Sciences. Retrieved June 25, 2010. ↑ "The 52nd Annual Grammy Awards Nominees List". National Academy of Recording Arts and Sciences. Retrieved June 25, 2010. ↑ "53rd Annual Grammy Awards nominees list". Los Angeles Times. Tribune Company. Retrieved December 2, 2010. ↑ "Grammy Awards 2014: Full Nominations List". Billboard. December 6, 2013. Retrieved March 30, 2016. ↑ "Grammy Awards 2015: The Complete Winners List". Rolling Stone. February 8, 2015. Retrieved March 30, 2016.